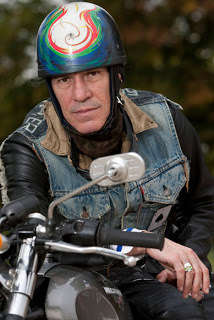 Denis Sire was born in Saint Nazaire, France in 1953 and spent his early years hearing stories of his father’s Indian Big Chief. 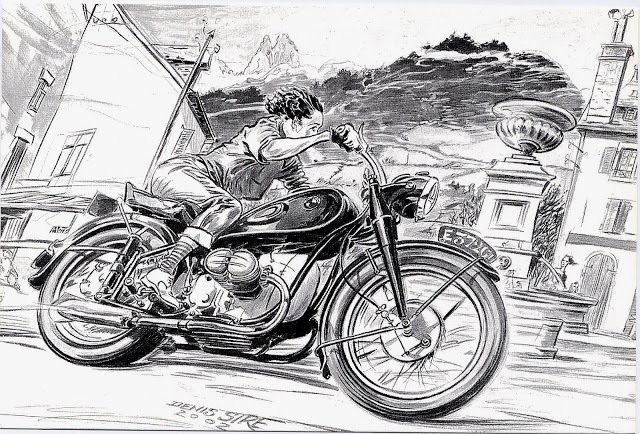 By the age of six he was already into comics, and at 16 he received his motorcycle license to drive an Automoto 125. 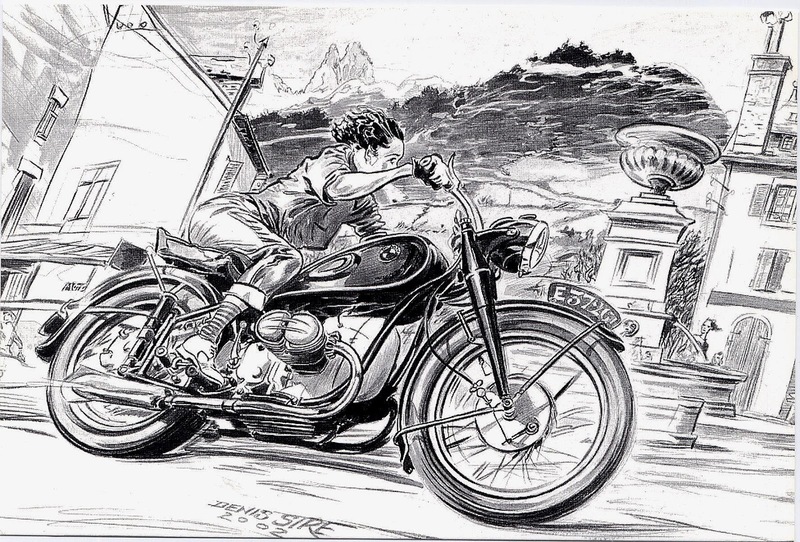 Later bikes would include a Morini 125, BMW R 68, Aermacchi 350, Harley Sportsters and a Duo Glide, BSA B 31, Norton 850 Commando, Panther Model 100, XL 1000 Cafe Racer and TRW 500 Triumph among others. 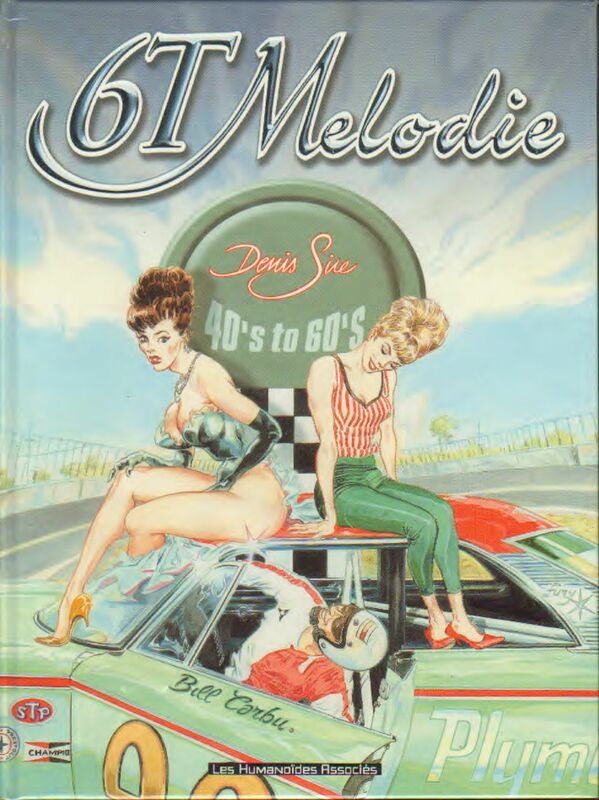 In 1970 Sire entered the School of Arts Appliques where he met the famous french cartoonist Frank Margerin and started the popular rock band “Los Crados”. 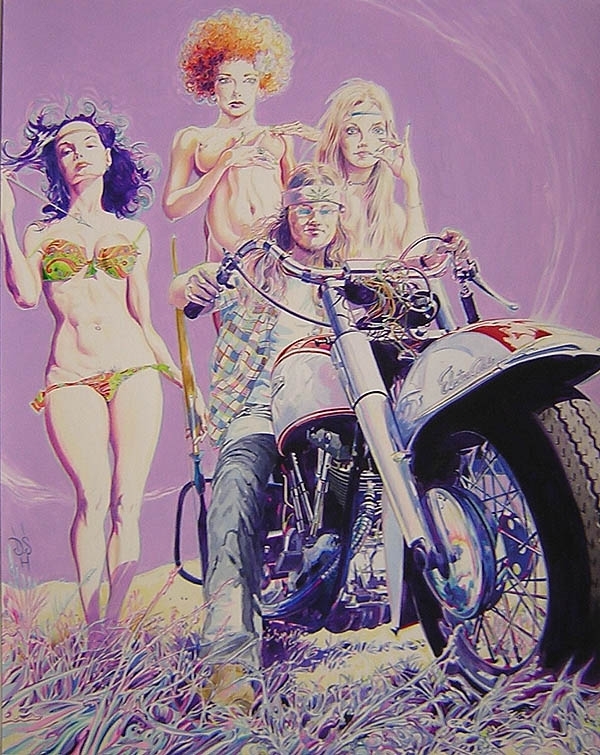 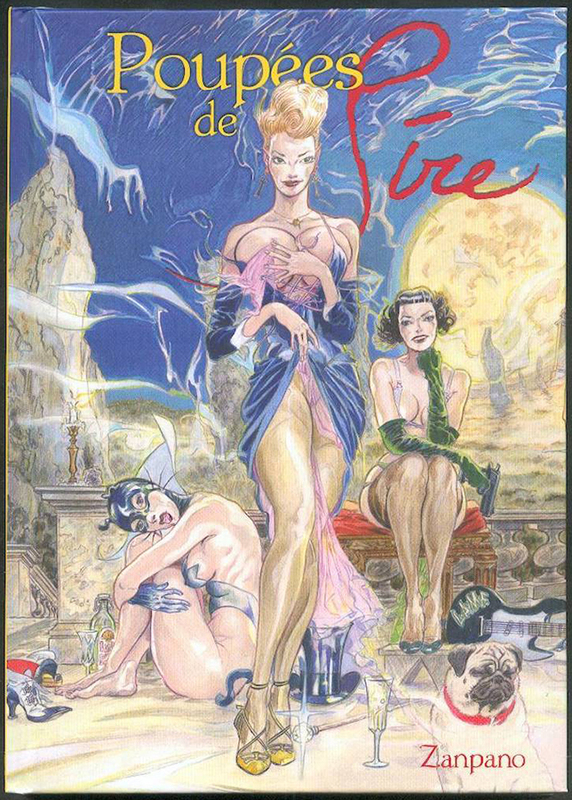 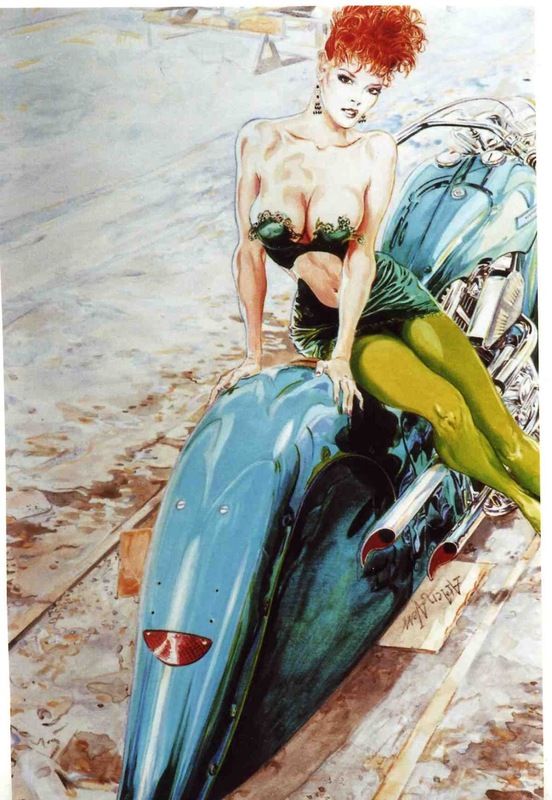 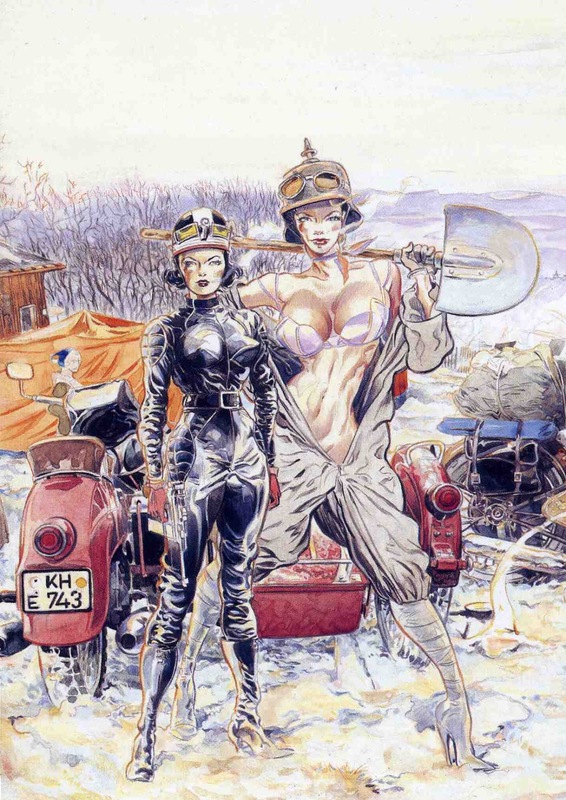 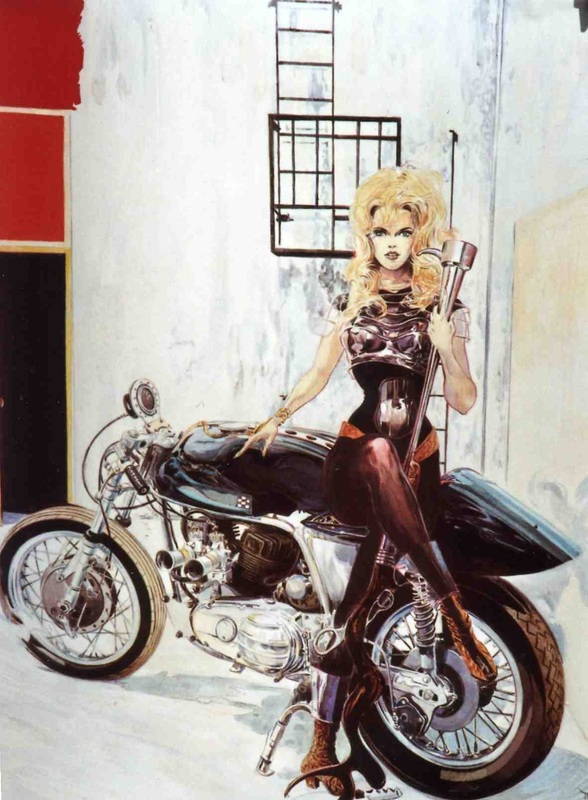 In 1992 Sire illustrated the graphic novel “L’ile des Amazones”, Jean-Pierre Dionnet’s story of Russian and American adventurers searching for the legendary Amazons on the Island of the Orchids. In 2000 he began a dynamic new career with friends from the QGDF M.C. 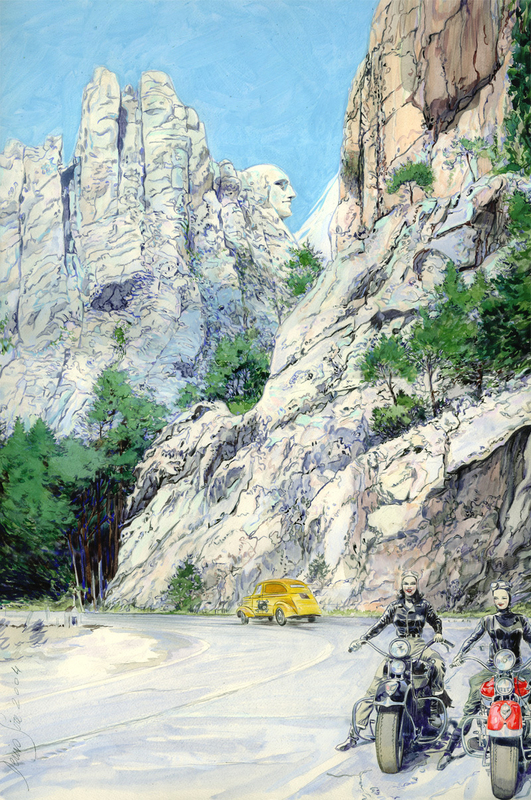 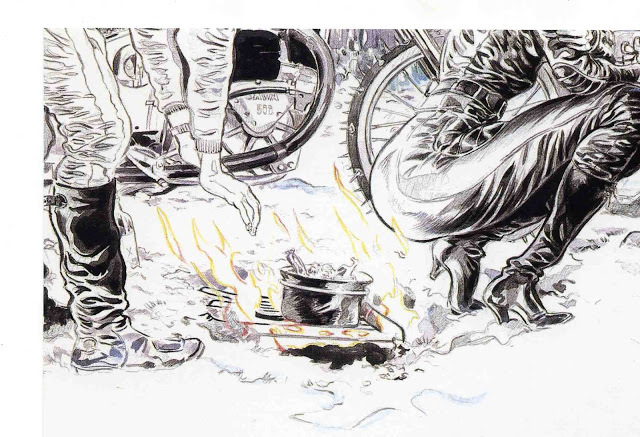 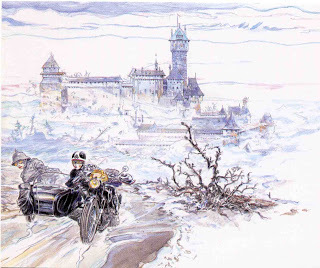 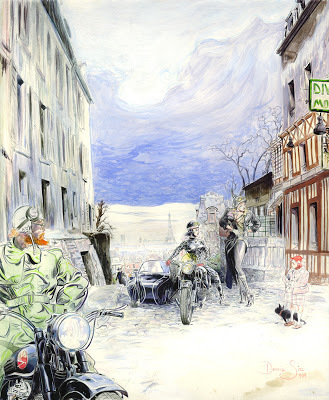 (“Quatre Garcons Dans Le Froid=”Four Boys In The Cold”) to focus on motorcycle themes. 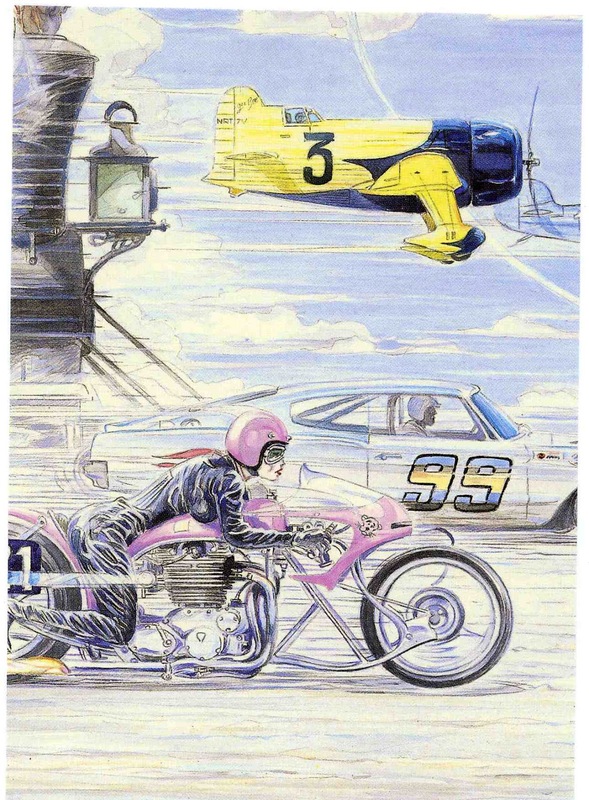 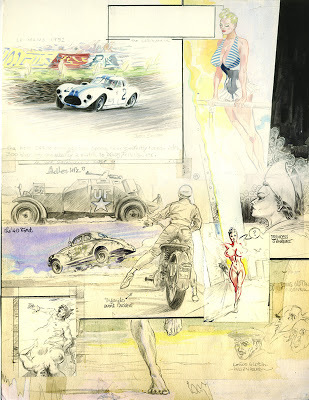 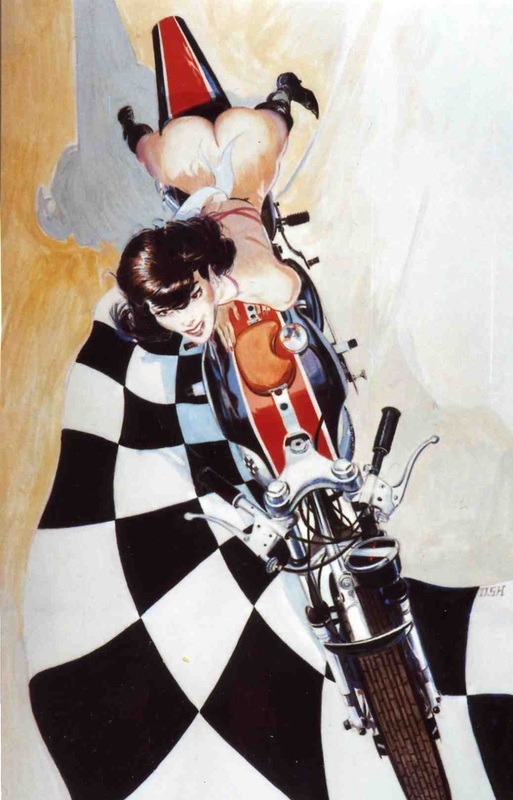 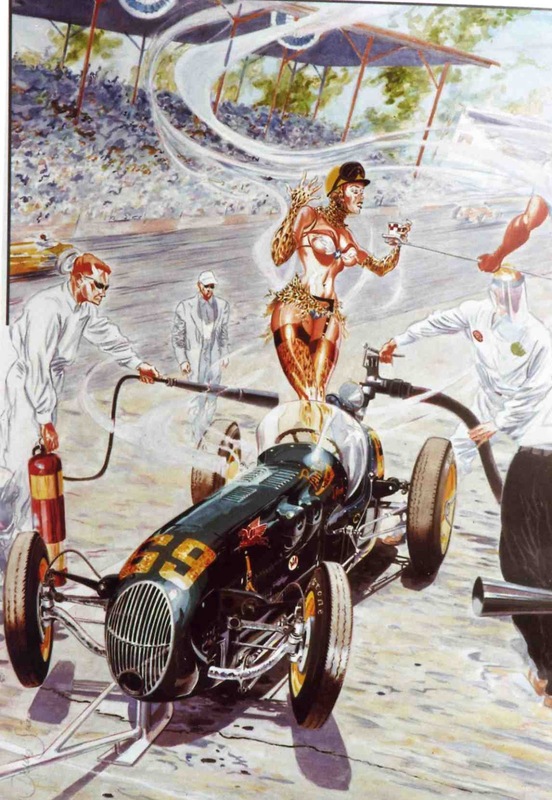 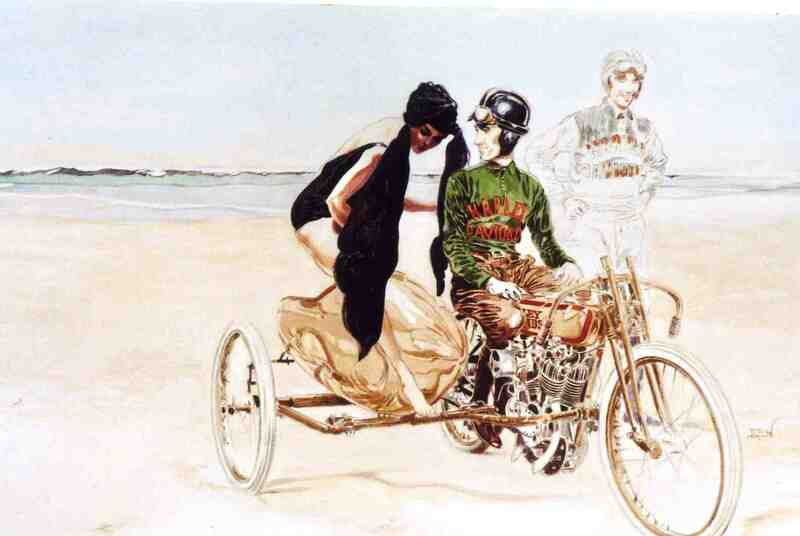 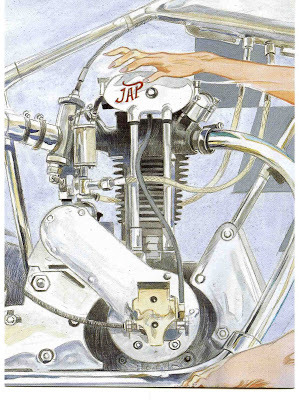 Another book “Mon Continental Circus A Moi”, about 50 years of History of Grand Prix was also released and in 2001 a collection of 14 prints “Poupees de Sire” followed the concept of “one year, one machine, one lady”. In 2003 Sire published his collection “courses de legende” in 3 parts; Indianapolis, Monaco and Le Mans, all about the legendary car races. Les Humanoides Associes also re-edited “6T Melodies” in a version that includes “more speed and Rock’N’Roll”. 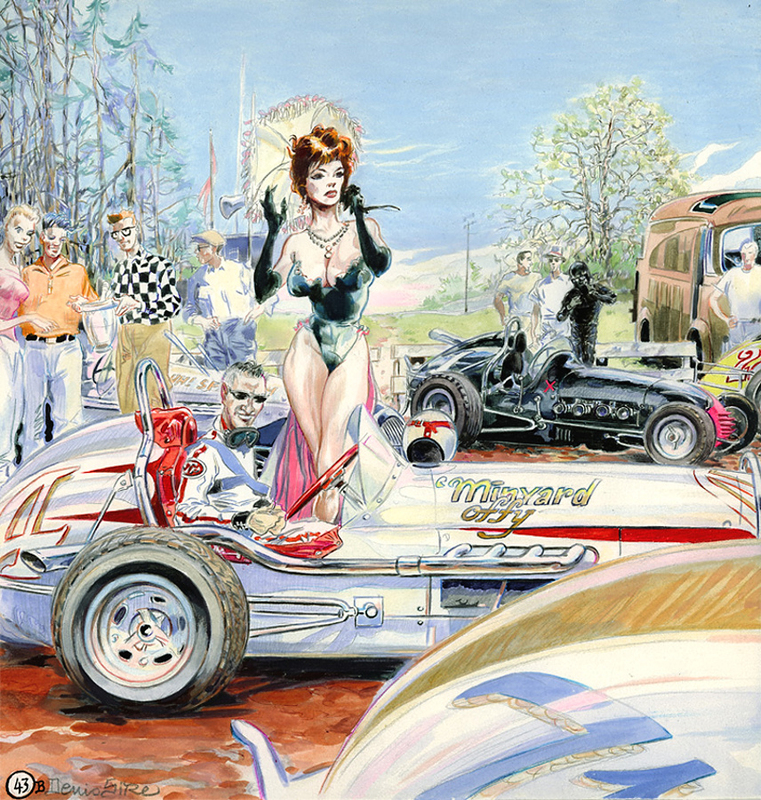 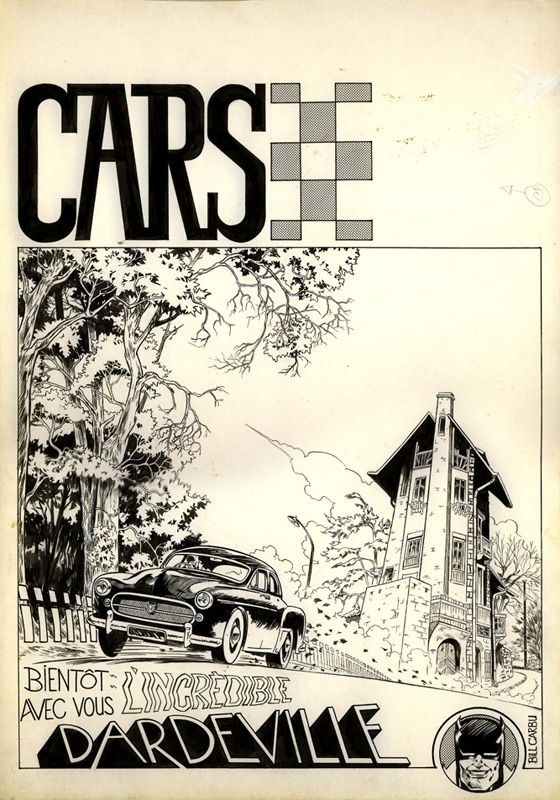 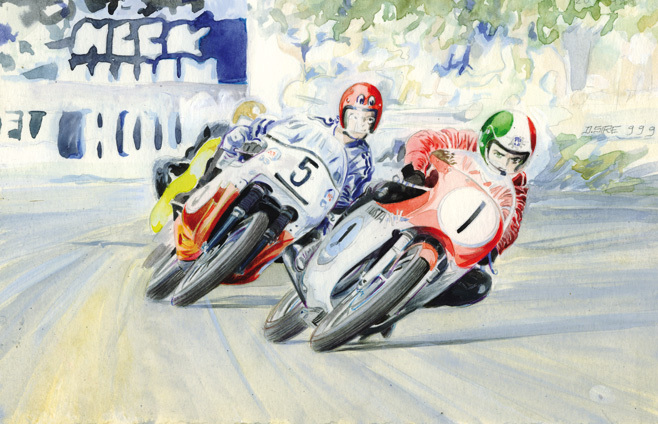 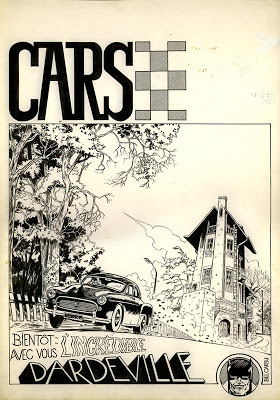 Since then, the Gallery Mot’Art published “Best of Racing” vol.2, a poster book representing famous historical scenes of cars and motorcycles races. 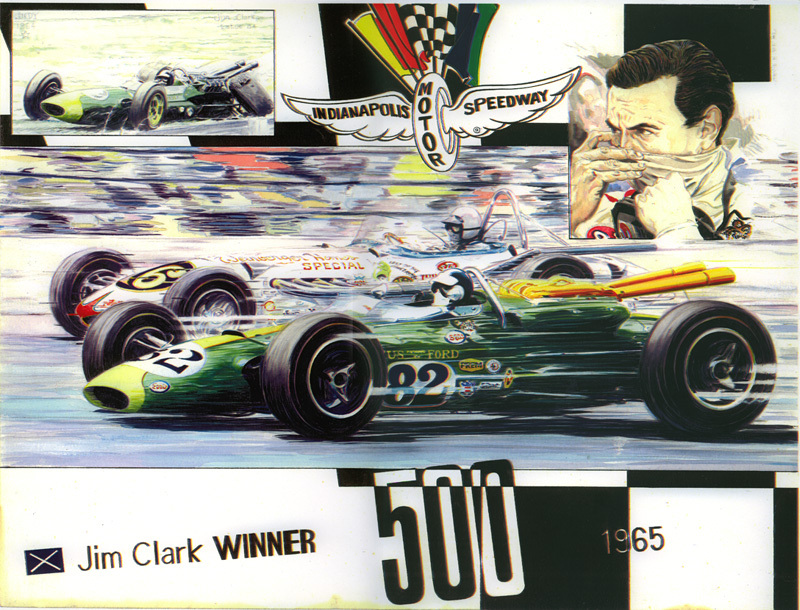 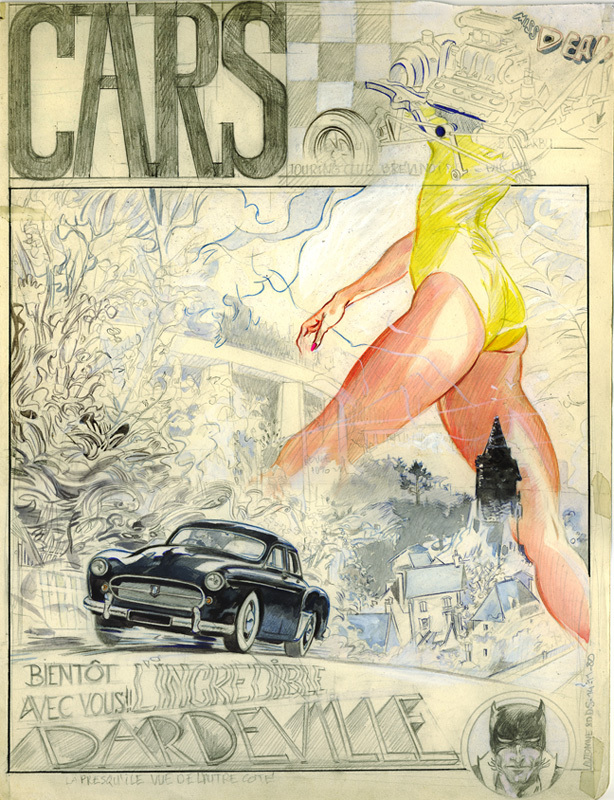 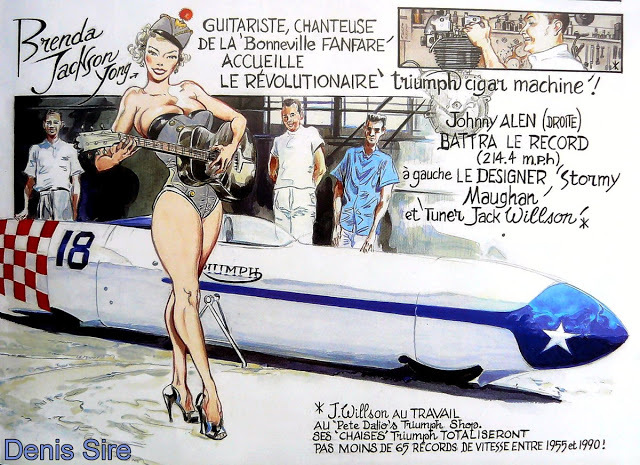 The French Driver’s Club and the tribunes of “Le Mans Classic” were decorated with gigantic prints of his artworks. 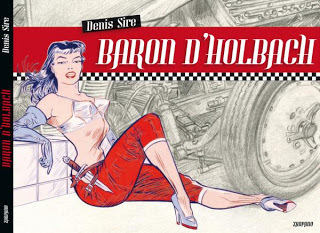 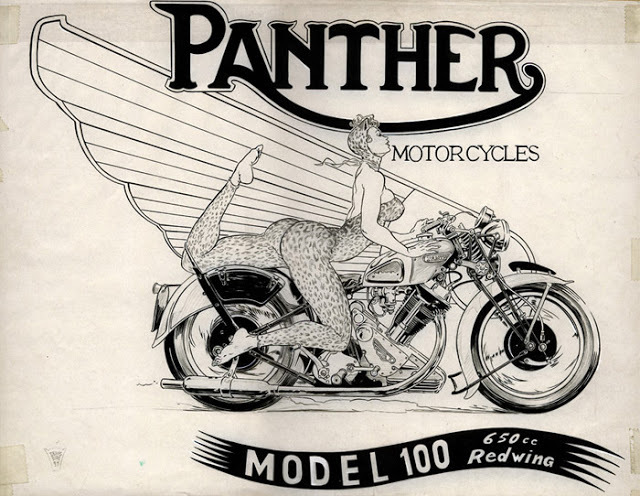 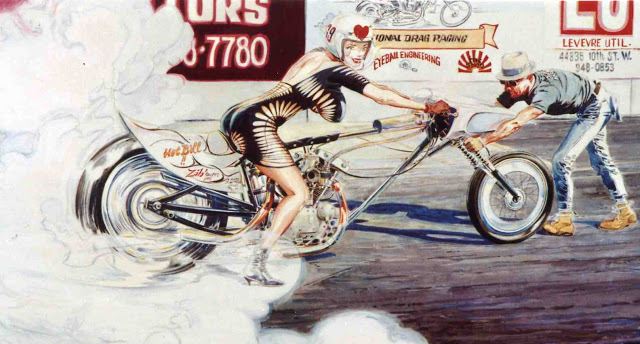 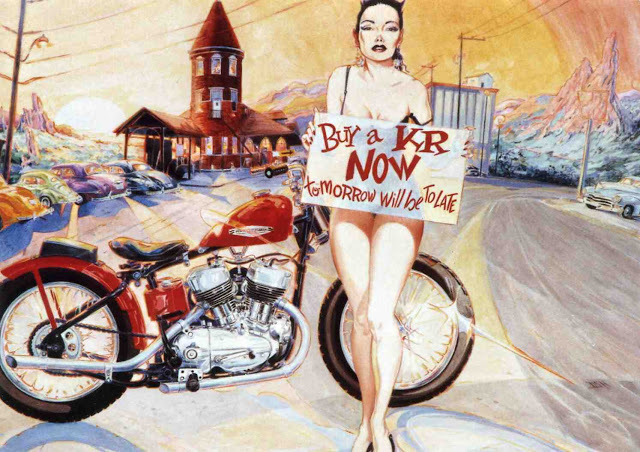 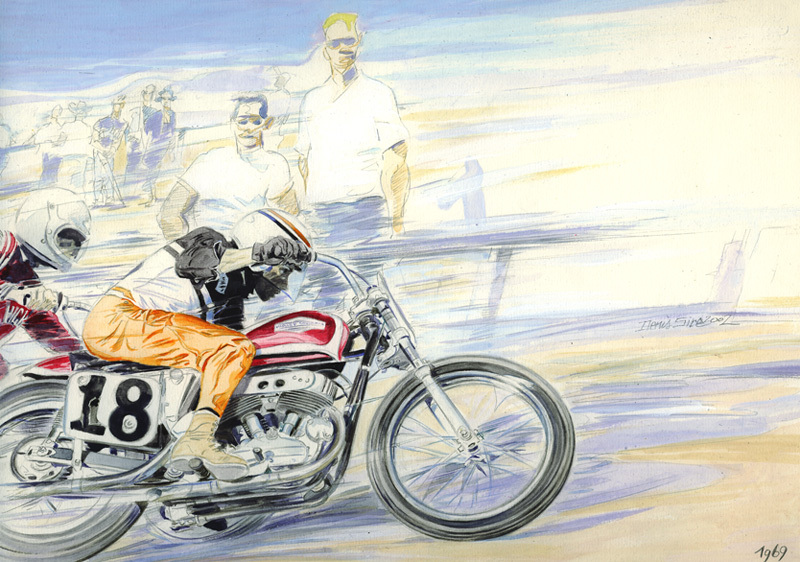 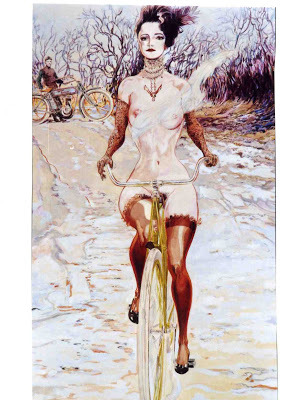 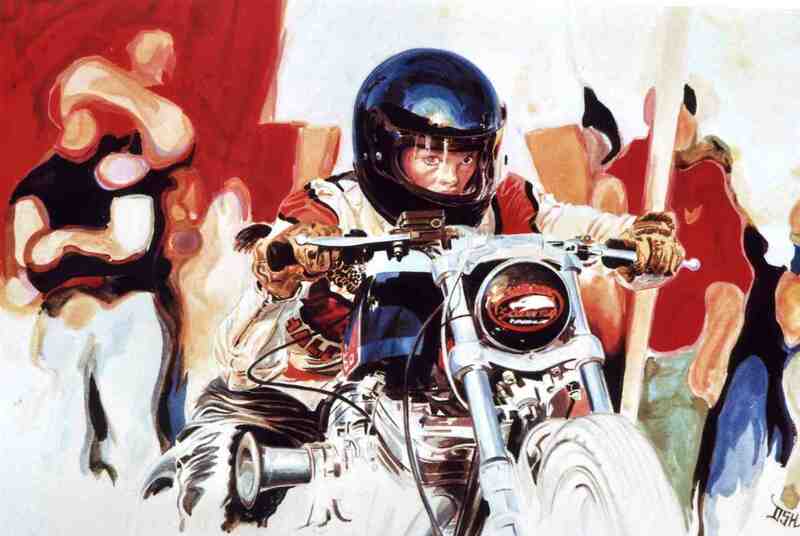 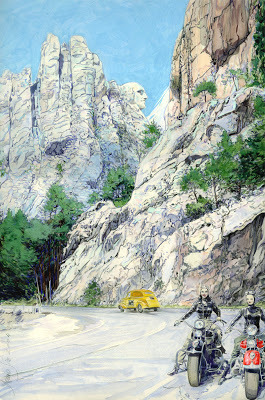 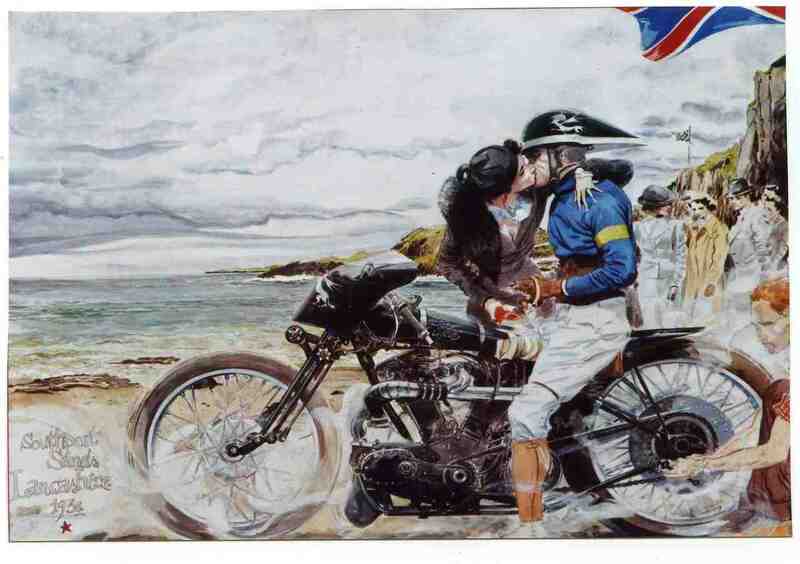 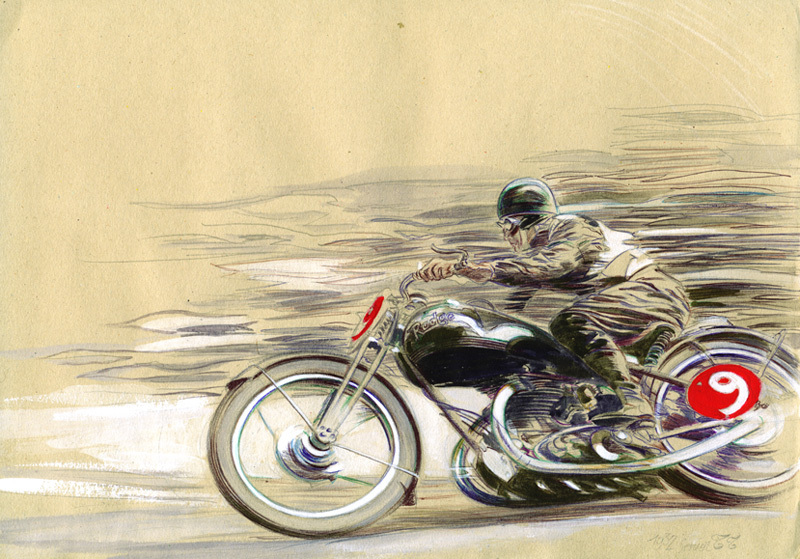 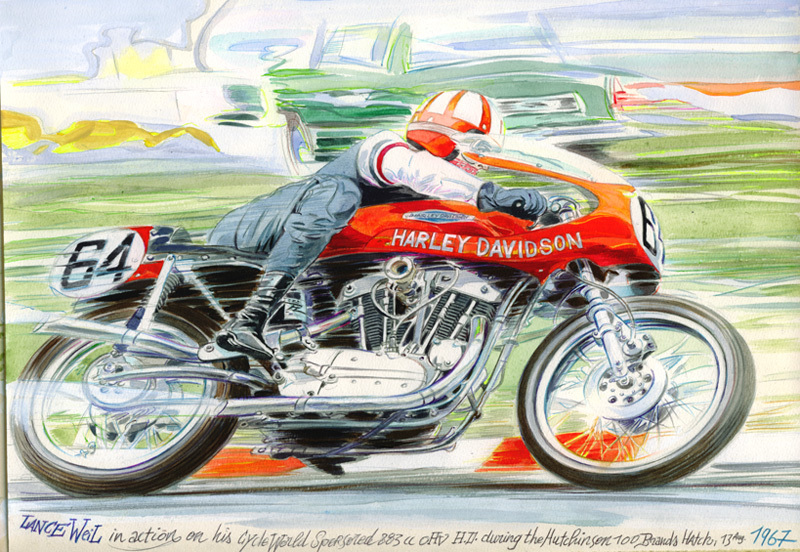 From the T shirts, posters or postcard sets that he produced for the Gallery Mot’Art only and a new comic book that is about to be release, Denis Sire keeps on being one of the most fascinating and surely the most passionate of artists devoted to the machines and the men who ride them for some of the greatest human adventures.